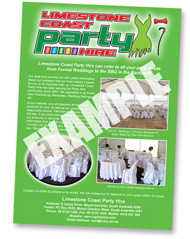 Limestone Coast Wedding Directory is an easily accessible, highly visible, comprehensive online website that can be found on internet search engines such as Google by anyone searching for products and services offered by businesses who service the wedding industry in the south east of South Australia and south west of Victoria. At this present time the majority of potential brides use the internet to search for products and services relating to their wedding as opposed to the traditional methods of searching newspapers, magazines, printed directories and bridal fairs. Advertising your business in this directory is at an affordable low-cost standard rate of $2.75 per week with a small once only establishment fee of $45.00. When listing your business for the first time we offer a 3 month trial period and then if you wish to continue the listing you can select a 6 or 12 month payment period. Your listing fee includes a full-page profile you can use to advertise your business, contact details for potential customers to make enquiries, a direct link to your own website and email address if available and a free gallery if you list your business for a 12 month period. We conduct monthly checks to advise you of how many visits and pages viewed the website has received and to check if any of your details have changed. Monthly checks and any changes required will be conducted at no extra cost. If you are interested in gaining maximum exposure for your product or service and want to list your business on this website then please do not hesitate to contact us for further details.